Marketing an app is one of the more challenging tasks in the technology world. However, a great mobile app marketing strategy can be extremely rewarding. The right app can catch the attention of millions of consumers and make you a lot of money. If you are a developer and want your app to succeed, it is important to make marketing a priority. 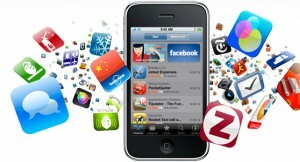 The following are five things that you should know about mobile app marketing. Most people that develop apps want to make money. There are a few ways to do this with an app. Companies like Upsight for example can help you sell a product. Alternatively, your app can serve as a platform that promotes the products you sell. Either way, many people create apps to generate advertising revenue or employ the services of marketing companies to drive revenue. When you create your app, it is important to decide whether you plan on charging a fee for it or letting people download it for free. Whether or not you choose to charge a fee will depend on the type of app you have. The typical fee for apps is 99 cents. Part of successful mobile app marketing involves understanding your users. Are they mostly men or women? Where do they live? What is their age range? The answers to these types of questions can help you create a better user experience. Also, many companies try to target niche demographics or social networks. This allows them to gain a bigger following. When customers download an app, they expect more than a basic website that runs on a smartphone. Instead, they are looking for something functional that will increase the user experience. If you are going to create an app that works like a website, It is better to use an adaptive website instead. Save the app for something better. Many people worry about the size of their app. They want to create something with high quality images and a lot of functionality. This is a good thing, but you have to remember that the app resides on a person’s phone. It is not on the Internet like a website. Therefore, if your app creates a lot of stored data that might cause space problems for someone, then it might be a good idea to consider a different format. A lot of developers make the mistake of trying to create an app that will be popular for 20 years. This is highly unlikely. Users are pretty fickle, and things are constantly changing. A majority of the apps that are created are inactive. In order to be successful, you need to try to keep it at the top of the download list. Also, offer upgrades so they remain relevant for as long as possible. This might help your app to stay alive longer than the competition. When you remember these five things, you will be smarter and more effective with your mobile app marketing. Since there are so many apps out there, it is important to have the right strategy so you can get a return on your investment.